I’m often a slow reader. It has taken me about two weeks, for instance, to finish Tad Friend’s remarkable profile of Y Combinator head Sam Altman in The New Yorker. Amusingly titled “Adding a Zero” in print and “Sam Altman’s Manifest Destiny” online, the piece is long (13 magazine pages), dense, and ambitious. It is also a delightful read. Indeed, Fortune’s Nicholas Varchaver called it the “most pleasurable business feature” he’d read the week before last. It’s also maddening to devote all of these words to a 31-year-old, socially awkward futurist. Still, if you have a hankering to understand Silicon Valley in all its glory (and all its pity), I highly recommend you read this article. Y Combinator, YC for short, is an “accelerator” that invites classes of startup companies, called “batches,” to go through its program and compete for funding from venture capitalists. Speaking of Apple, an item in The Economist caught my eye the other day. At the urging of the prime minister of Italy, the smartphone maker has set up a new “app academy” in Naples. There must be 20 other regions of the world that will want one of those. 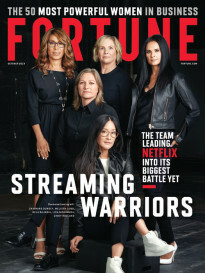 Apple retail chief Angela Ahrendts made a rare speaking appearance at Fortune’s 18th Most Powerful Women Summit. The former Burberry CEO views the company’s newly redesigned retail outlets not just as stores, but as the company’s next big products, she explained on Monday night in her first interview about Apple’s retail redesign. In fact, she and Apple view these stores as potential town squares within each of the cities they reside. “The store is now the biggest product we produce and we have five new features [for iPhones and iPads]. Accessories are avenues, and the huge digital screen in each store is the forum,” Ahrendts said. 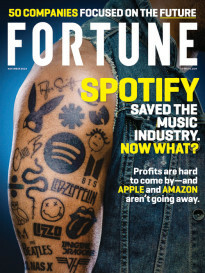 Read (and watch) more on Fortune.com. This edition of Data Sheet was curated by Robert Hackett.